The school year is almost complete! 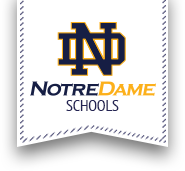 Notre Dame High School Athletics would like to invite you to our summer sport camps. Notre Dame High School is excited to announce the arrival of Oliva Tooley as the new Varsity Girls Basketball Coach beginning with the 2015-2016 season.